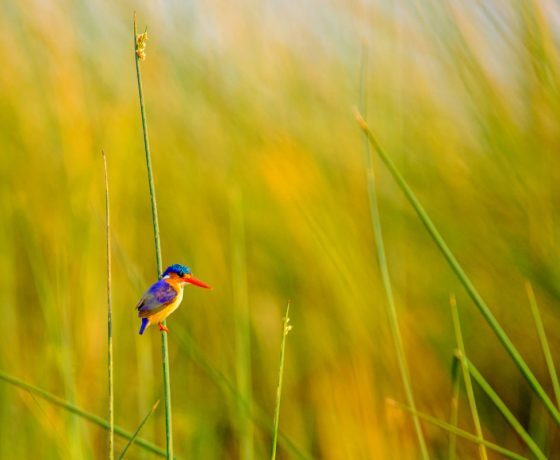 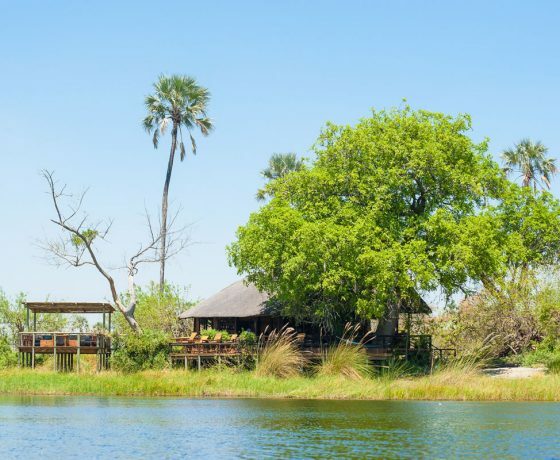 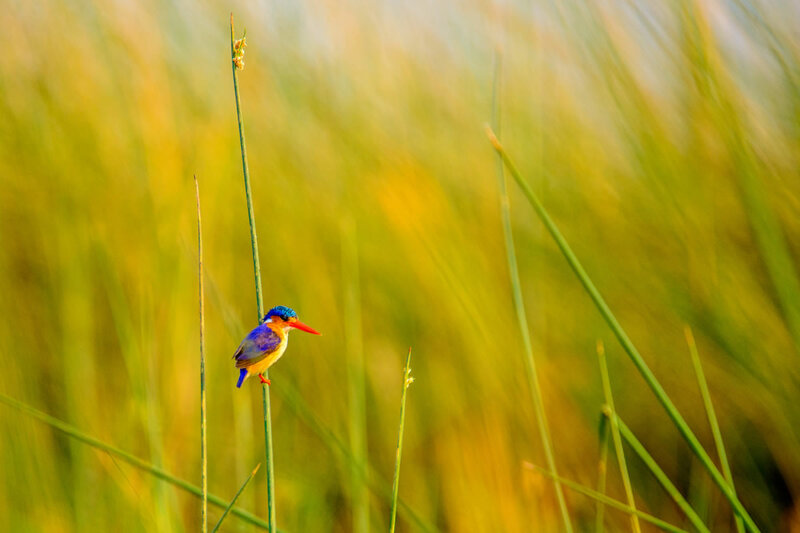 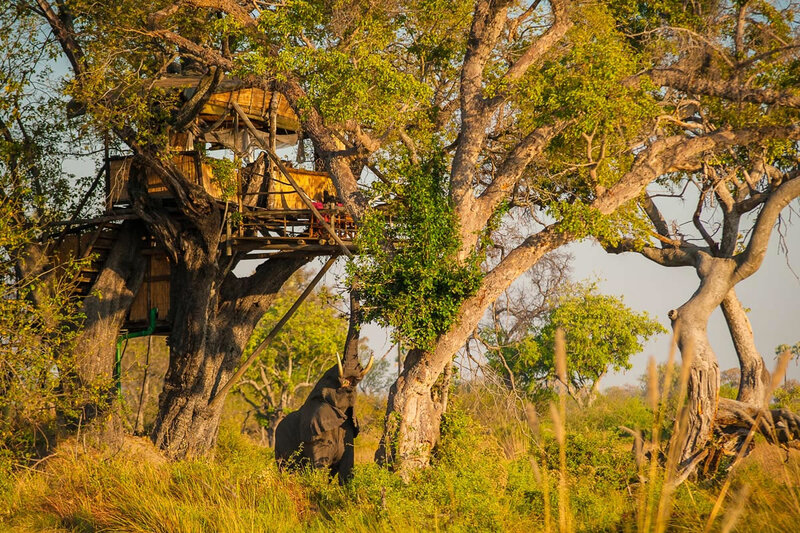 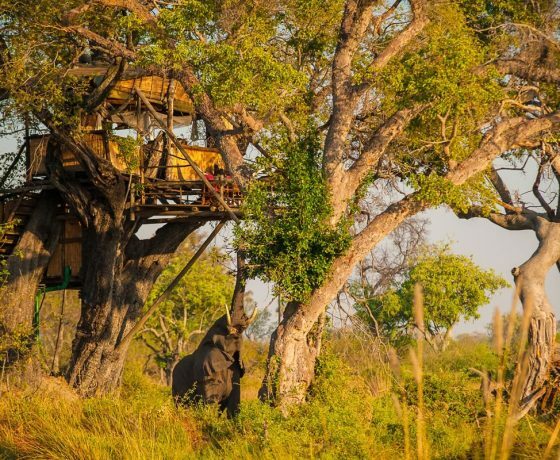 Delta Camp is situated on the south western edge of Chief’s Island in the heart of the Okavango Delta. 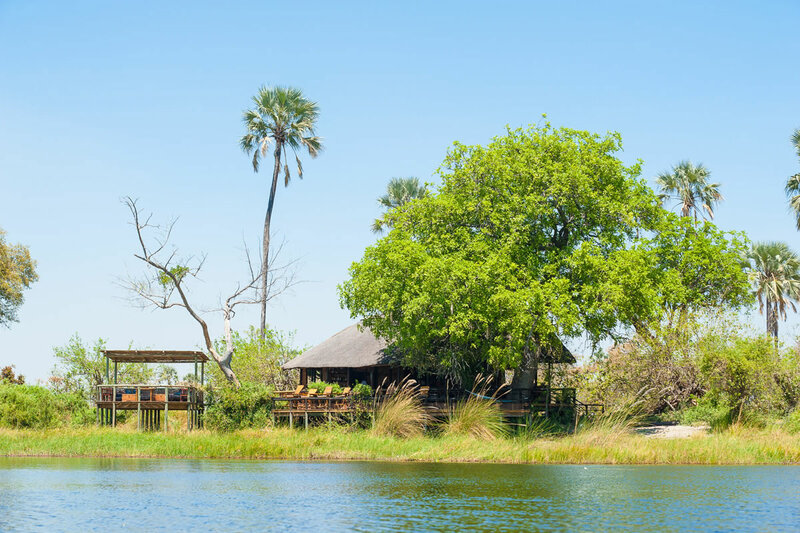 The camp is located within the forest of a beautiful palm studded island, and is well spread out to provide space, peace and tranquillity. 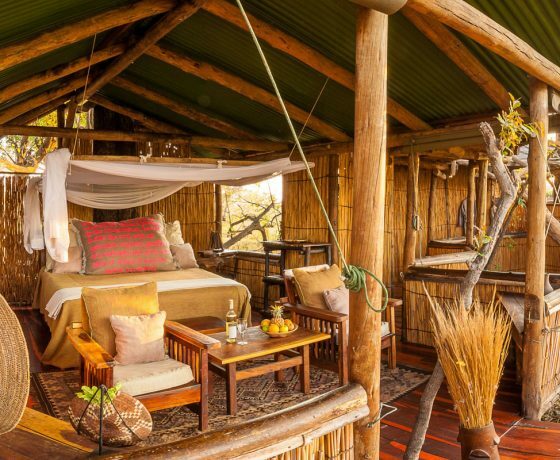 The seven spacious reed chalets are built of natural materials and elevated off the forest floor. 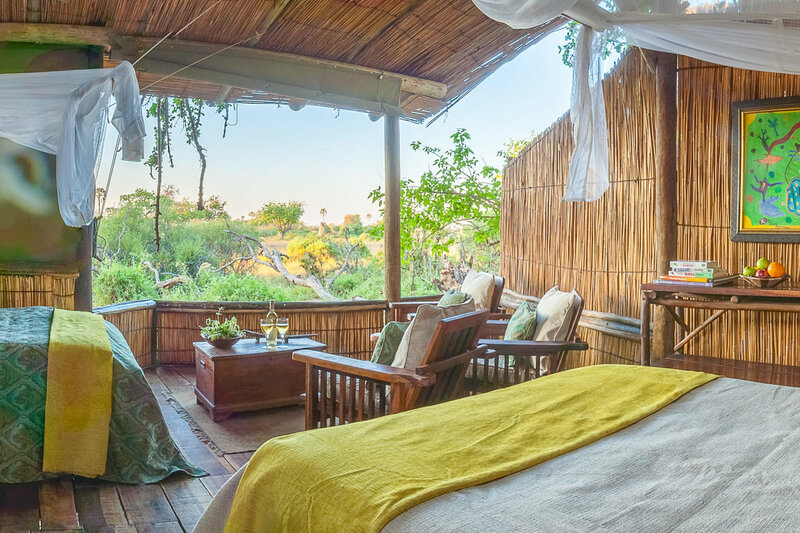 Each room has an en-suite bathroom with hot and cold running water, an outside shower with a wonderful view, solar powered lighting and great views from its deck. 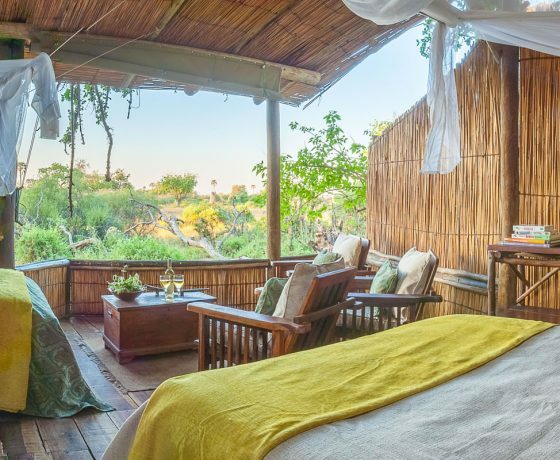 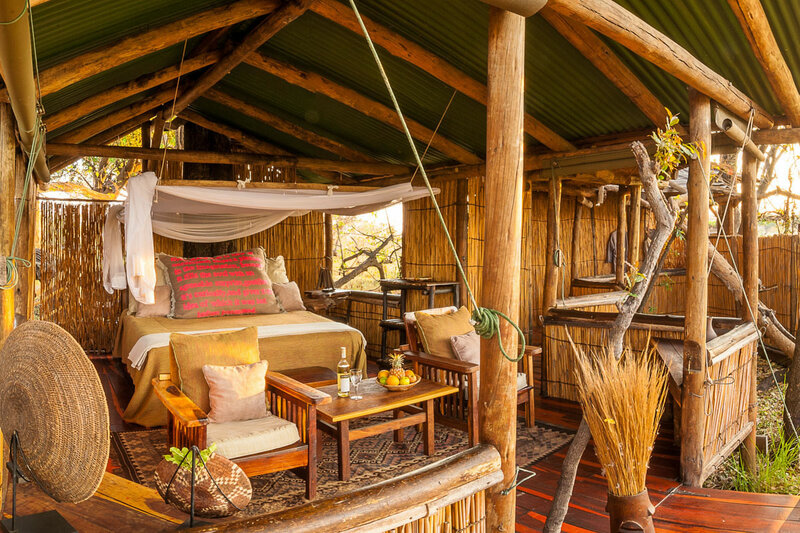 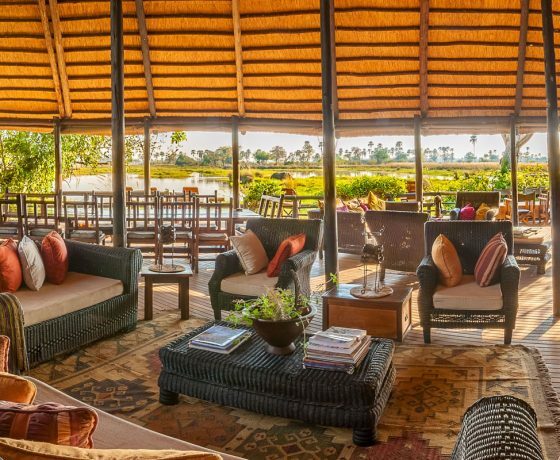 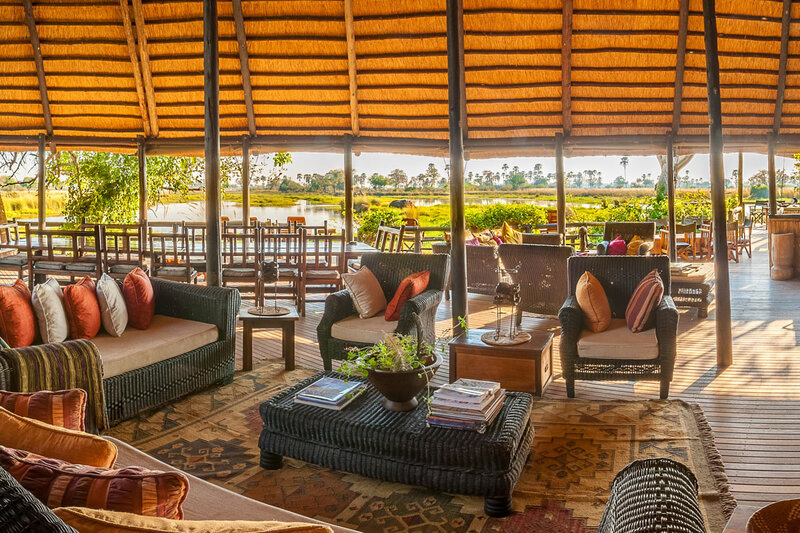 The camp also has a large, comfortable lounge and mess set under a thatched roof on a raised viewing deck. 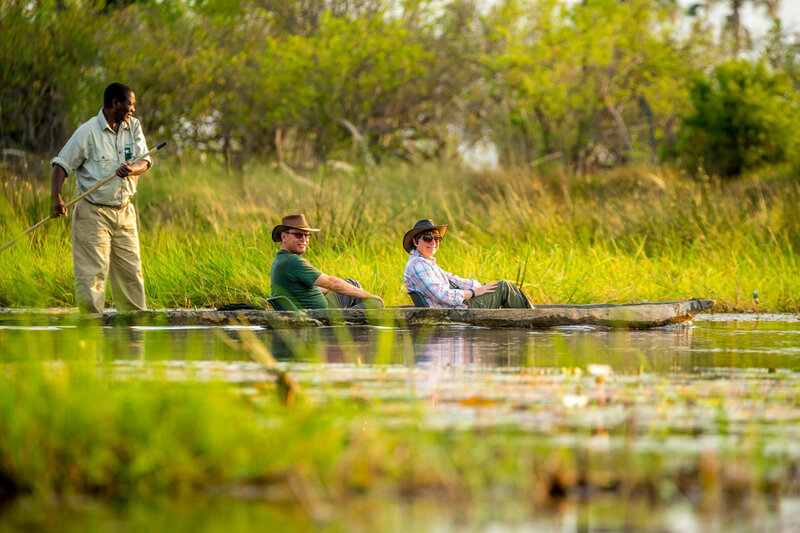 Delta Camp is predominantly a water camp. 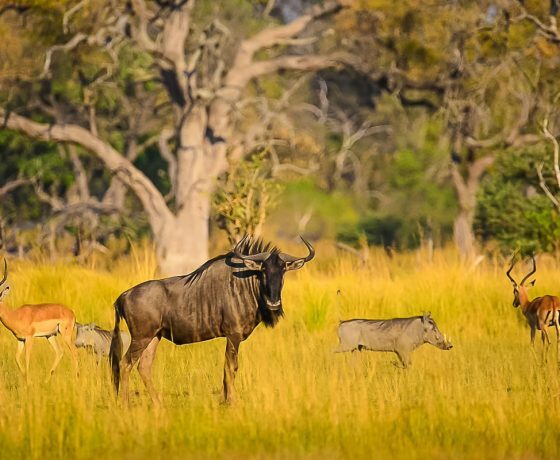 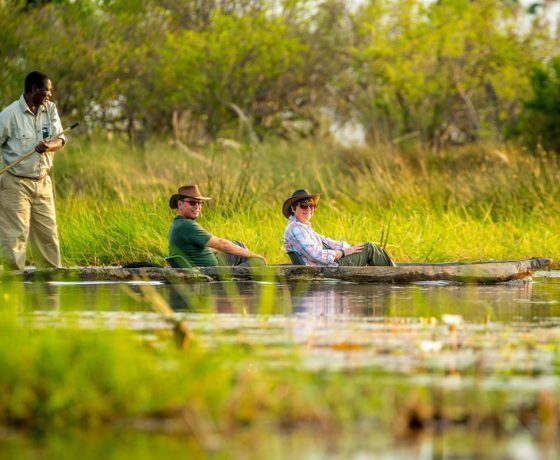 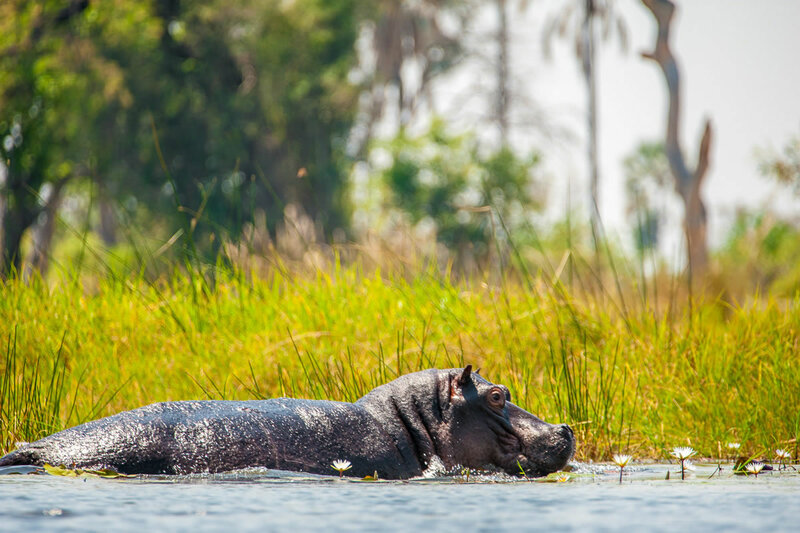 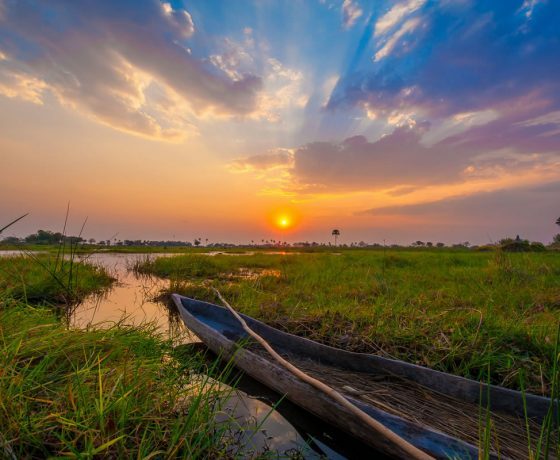 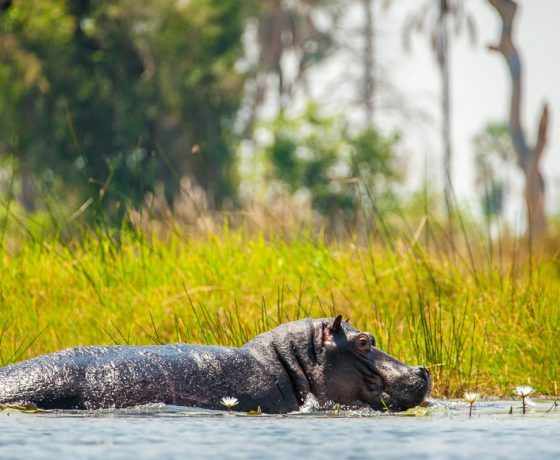 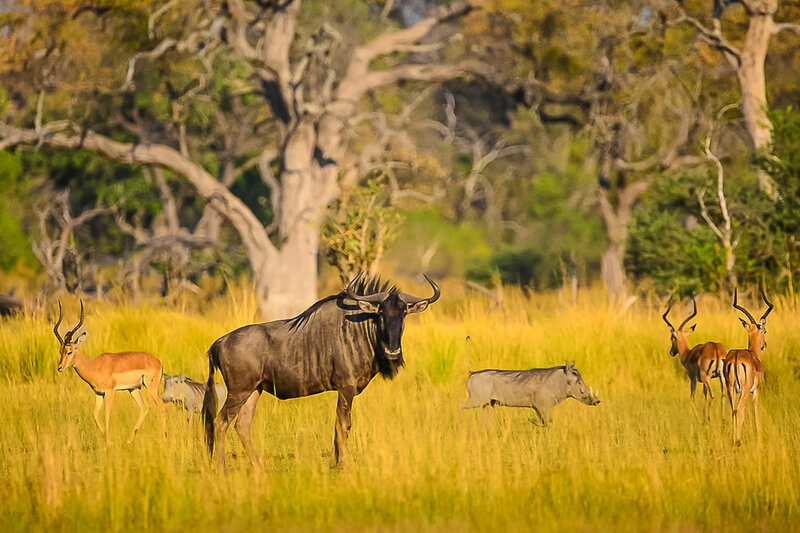 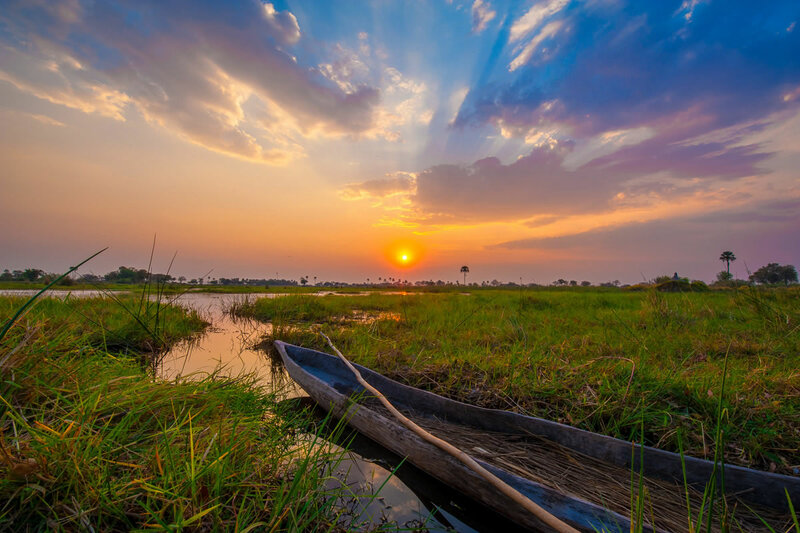 Game viewing is mostly done by taking a traditional dug out mokoro canoe through the clear channels and also on guided walks on the islands in the Okavango Delta with some excellent locally born guides. 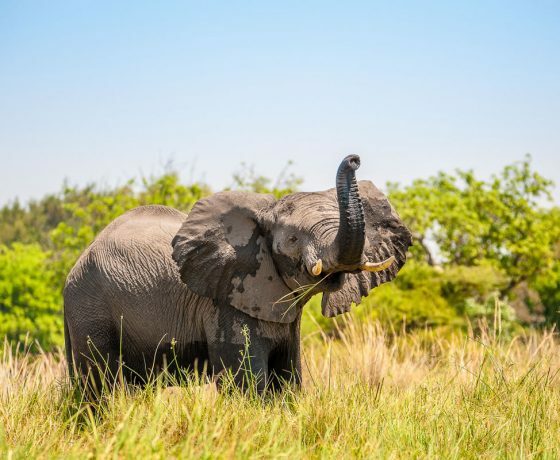 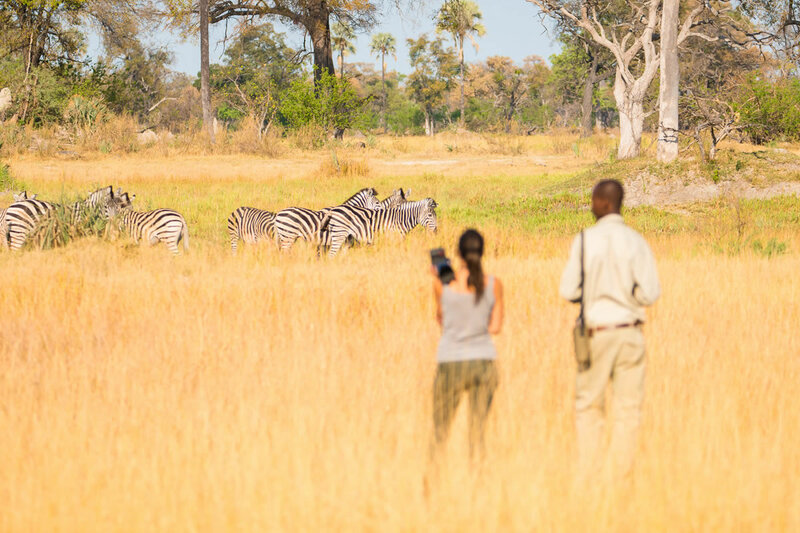 Wildlife abounds and includes lion, leopard, buffalo, hippo, elephant, giraffe, crocodile, and all manner of antelope. 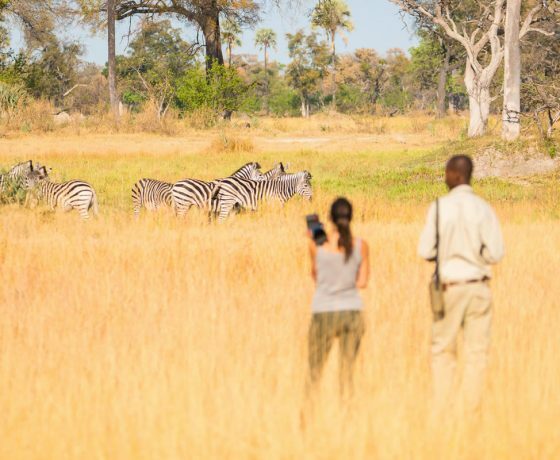 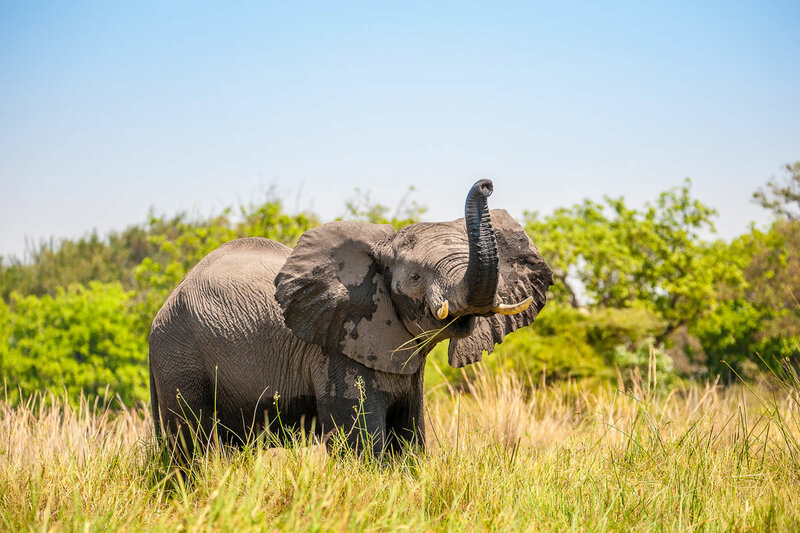 Camping and sleep outs in the surrounding area are also available on the Chief’s Island walking trail, and visits to local villages to see some of the culture of Botswana are an additional highlight.